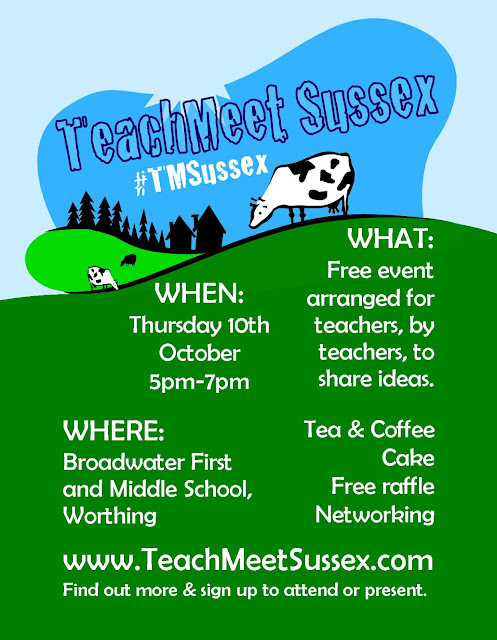 We are pleased to announce that the date for the first ever TeachMeet Sussex will be Thursday 10th October 2013 at 5pm. The event will be held at Broadwater C of E First and Middle School in Worthing, West Sussex. Click HERE to sign up to ATTEND or PRESENT.